In consideration for nomination for the 60th Grammy Awards in the categories of Best Chamber Music/Small Ensemble Performance, Best Classical Compendium Album, and "Take on Me" for Best Arrangement Instrumental or A Cappella. The debut album from the Altius Quartet. The quartet's core mission is to strive for universality in their music and communicate directly with their listeners. It's this outlook that led to Dress Code's eclectic blend of genres, with works from eighteenth-century classical repertoire to 1980's pop being presented both on their own and combined in new arrangements. Altius attributes the album's appeal for a wide range of musical palates to "each work being derived from a universal source of invention and innovation, representative of the times in history from whence they came." 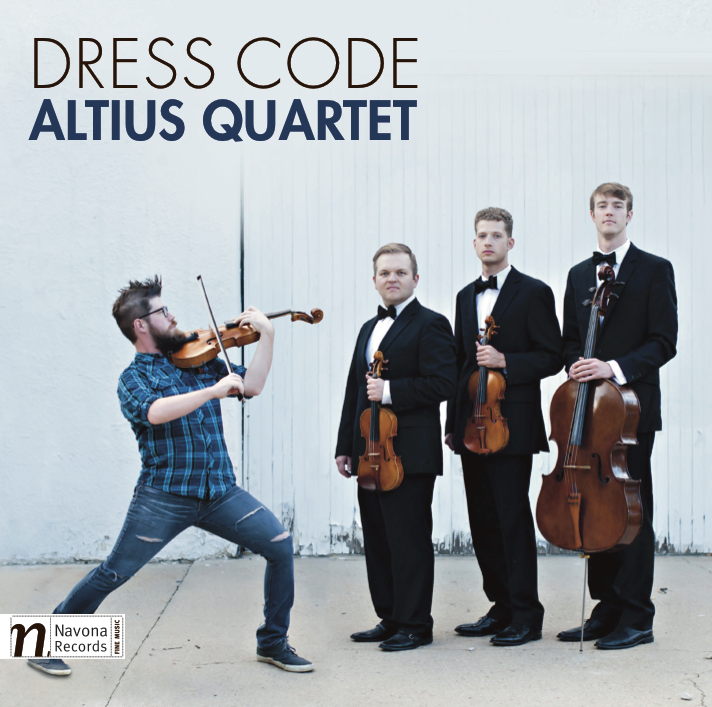 Following their debut release DRESS CODE on Navona Records, Altius Quartet returns with a drastically different set of repertoire on SHOSTAKOVICH STRING QUARTETS 7, 8 & 9 but is played with the same passion and meticulous dedication one could expect from the group. The quartet notes that through studying these works the group was able to find their artistic voices both as individuals as well as an ensemble. Through listening to their performances, one can really get a sense of their personal connection to these pieces, and that reverence only helps to highlight the personal connection Shostakovich felt to these quartets as well. In fact, these three quartets are each written in honor of different person or group he felt a close connection to.